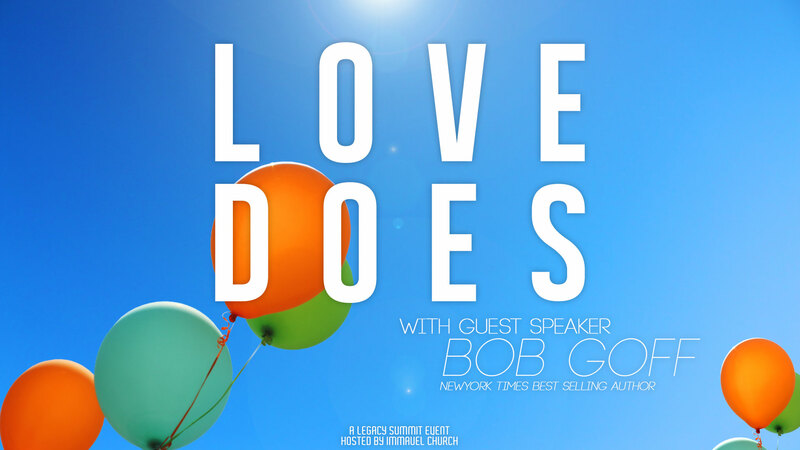 If you asked this year’s Legacy Summit speaker Bob Goff his take on love, he’d likely tell you love isn’t just a feeling that makes the heart flutter or a part of a phrase to be uttered every night before we go to bed. This year’s summit attendees will spend a morning with Goff as he encourages us to love well and inspires us to love in ways we perhaps have only dreamed. Want a little sneak peak of Goff in action? Check out this video of Goff giving us tips on how to live a secretly extraordinary life. So are you ready to stop thinking about living an incredible life and start doing it? Are you ready to love and love well? Register now for the Love Does! Legacy Summit at the early-bird pricing! Posted in Family, Legacy SummitTagged Bob Goff, immanuel church legacy summit, Legacy Summit, living an incredible life in Gurnee Illinois, living life to the fullest in gurnee illinois, living like jesus, Love Does, love is an action word, parenting in gurnee illinois, why do christians love?